Walk into any bookshop, ask about Maggie O’Farell and you are sure to create a stir. She’s the kind of author that captures her reader’s hearts with the first book they read and from then on they’re hooked. Obviously, the release of her newest novel ‘Instructions for a Heatwave’ from Tinder Press is highly anticipated but what’s it all about? The novel starts one morning during the July 1976 heatwave. Gretta waves off her husband Robert as he goes for his daily walk to the local shops to pick up a newspaper, but unlike every other day, he fails to return. Gretta and Robert’s three children are all grown up and living their own lives. Their son Michael-Francis is struggling with a job he hates, two children and a wife he feels is drifting further and further away. Monica, the apple of Gretta’s eye, lives in a house full of antiques she hates with her new husband, whose two little girls despise her but she’s insistent on making it work. Then there’s Aiofe, the baby and also black sheep of the family. She was a handful as a child and the reputation stuck well into her adult years but after failing all her school exams she moved to America and tried to find herself a new life. As the calls go out that their Father is missing, each of the children has to drop the routine of their daily lives and put their personal problems on the back burner while they try to figure out what’s happened to their father. But with so many secrets among the family members, so many words said that can’t be taken back and each of them with their own insecurities to hide, sometimes you have to look to your past, to learn how to move forward. There’s always that exciting, nervous tension of reading a novel that is so highly anticipated. I can’t pinpoint exactly what I wanted from this novel but I can tell you it surpassed my expectations. The characters are all damaged in their own completely understandable and endearing ways and even when their actions appear strange, the author unravels their complicated motivation with an amazing simplicity. My favourite of the characters was Aiofe, the youngest daughter of the family, who fancies a daily struggle hiding her illiteracy. This novel does not shout at you and command your attention but after just a few pages entice you in and the characters make it simply impossible to put down. To describe it as a story of secrets, lies and beliefs is true but selling it short. 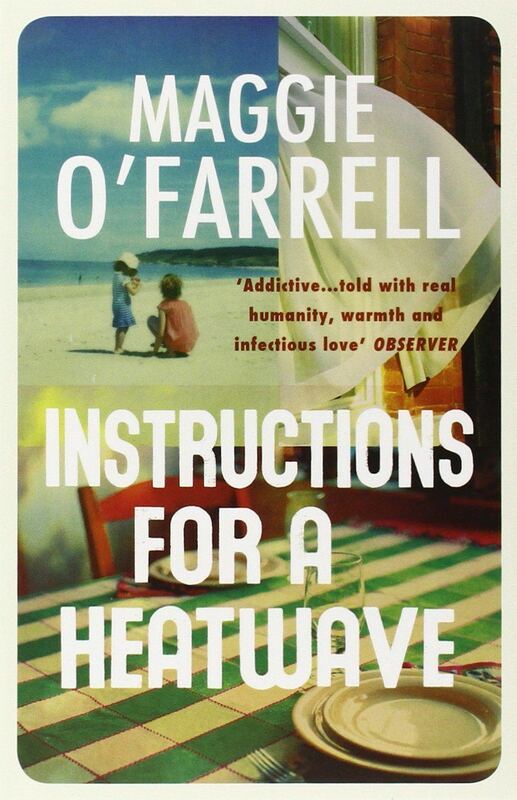 For me, Instructions for a Heatwave is an incredible novel about the pressures people often put on themselves, about white lies, kept to protect others but eventually leading to self-destruction. This is truly an unmissable story that deserves to be one of the bestselling books of the year.